unified field of ether. These waves oscillate through space, like ripples on a pond, as carriers of information. All of life in the dynamic Universe emerges from a single pulse of light, from the multi-dimensional scalar standing wave pattern. Within the vacuum state of the Quantum Vortex beats the standing scalar wave of Singularity…the continual pulse of creation. It is the natural rhythm of life, like a cosmic heartbeat that fuels our Universe. There is growing astrophysical evidence that the vacuum structure found within the galactic zero point field also exists at the atomic scale level in our cells. As ancestors before us, we are discovering knowledge of the ancient mystery of Apotheosis. By tapping into the phi spin of Metatron’s Cube, we are able to integrate Soul energy inwards and release incongruent energy outwards. Humanity is returning to the natural counter-clockwise rhythm of the sun and stars. This extraordinary discovery was the inspiration for developing Meg Benedicte’s proprietary healing process, Quantum Access. In 1994 Meg experienced a profound awakening that activated her unique portal access to the quantum field. 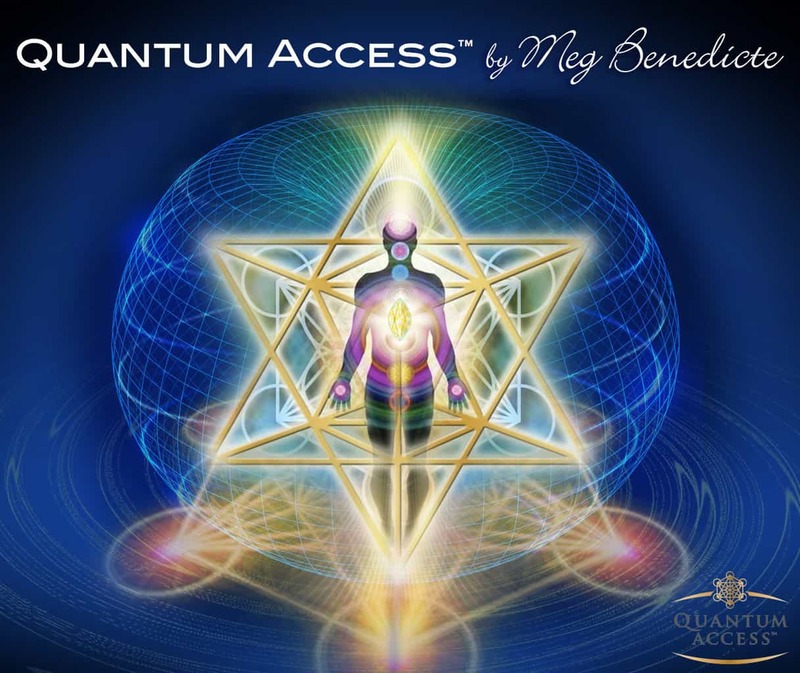 Meg offers Quantum Access, to clients and students to quickly shift consciousness, unlock karma and remove energetic patterns so they can accelerate their personal Ascension. Quantum Access is the most effective, accelerated method to unlock molecular compression, time density and trapped emotional/mental/chemical information from the cells by neutralizing the gravitational field. The Zero Point Void is where matter and anti-matter merge to create new realities. The visiting gods documented the Science of Alchemy in timeless manuscripts, preserved inter-dimensionally as the Book of Knowledge, only accessible in the Zero Point Field. Through a series of remote viewing sessions, Meg Benedicte tapped into this ancient knowledge gathered from her visitation incarnation during Zep Tepi Egypt. The technology of Alchemy originated from the soul of the highest archangel of the Kabbalah, Lord Metatron. 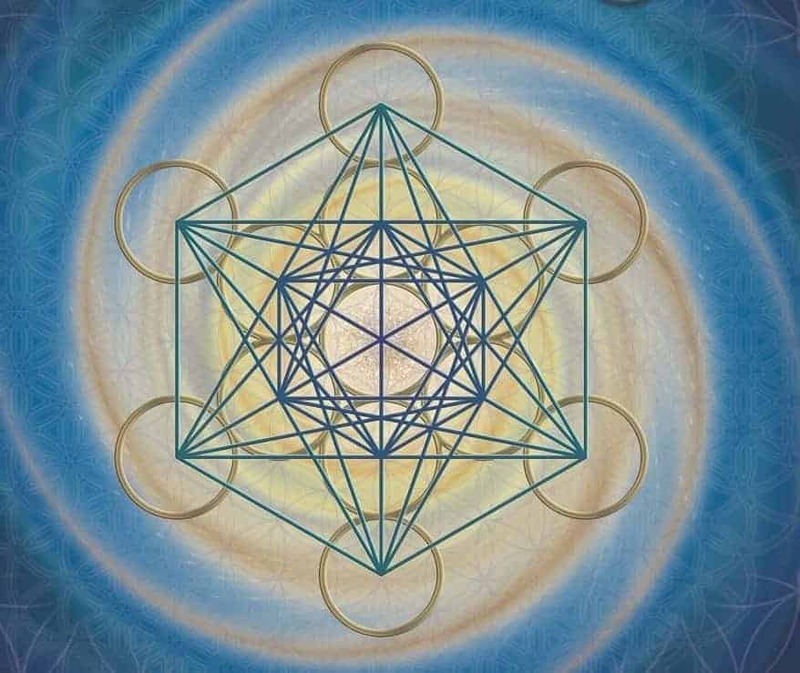 Metatron’s Cube is the template of creational geometry and the electromagnetic nature of genesis in our universe. 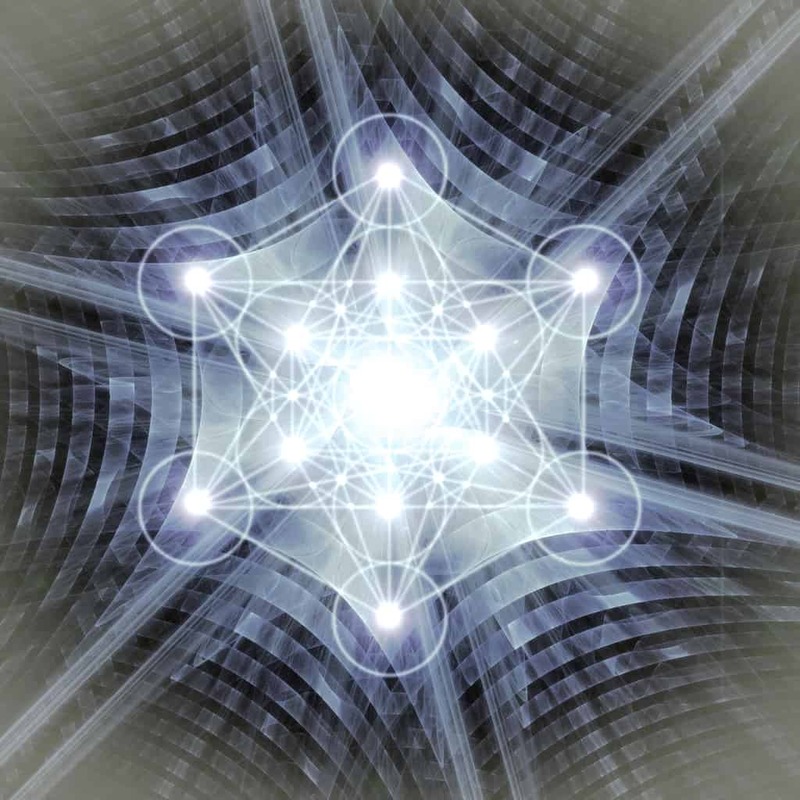 Encoded within Metatron’s Cube are the 5 Platonic Solids and Star Tetrahedron (Merkaba) that act as the internal organizational structures of molecules in natural crystals. The 12 spiraling cones or pillars vibrate with 12D harmonics that radiate outwards, forming a spiraling vortex around the source consciousness. The 12 around 1 geometric blueprint connects us to the endless dimensional grid programs of universal holographic realities.By studying these forms of sacred geometry we can access the deeper knowledge and understanding of universal Intelligence – the consciousness of Creation….the ‘mind of god’! Sacred Geometry contains embedded intelligence that forms the building-blocks of Creation in our Universe, evidenced in growing plants, the orbit of planets, the proportions of the human body, and the structure of crystals. The eternal spin of ether vortexes relies on sacred geometry to maintain stability in the universe. The only way energy waves continue moving in a circle as ‘mass creators’ is when there exists a force of continual motion that keeps them attracted to the zero point center without cancellation. The Torus shape of the Quantum Vortex can be perfectly manifested by a set of Phi spirals. The Phi spiral is constructed from a series of 12 harmonics with wavelengths that comply with the Golden Mean (Sacred Geometry of Phi) version of the Fibonacci sequence: 1.618. As a result of the Golden Ratio harmonics, two new additional waves will be created that are again in the Fibonacci series – so the non-destructive interference will simply result in more harmonics in the Fibonacci series. The Phi spiral is the ONLY possible wavelength that can re-enter itself around the Torus shape without destroying itself. So the Phi spiral is the universe’s only possible way to nest and become self-organizing (Fractal). 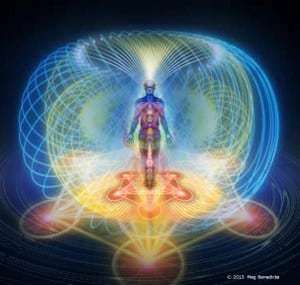 When you experience that perfect connectivity of electrical waves flowing in heart coherence, in the Phi harmonic spiral – you have achieved Bliss! This is the alchemy of Creation! Quantum Access initiates the general physics blueprint of all unit life – atomic, cosmic or biological, and more specifically that of conscious perception of a mechanical world, all are essentially Golden Ratio fractal – for this is their energy source. 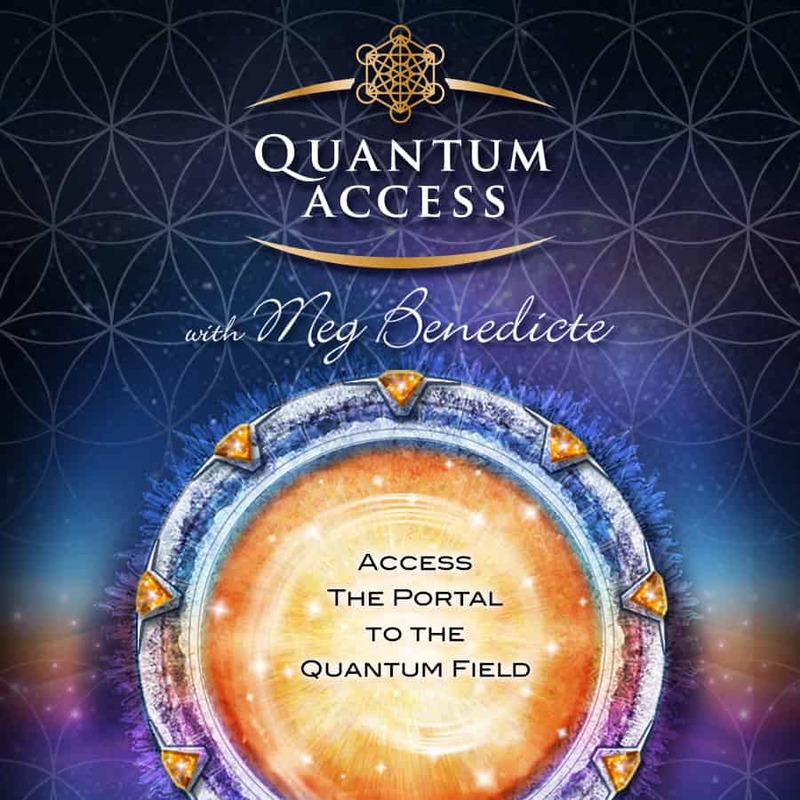 For the past two decades, Meg Benedicte has been sharing these dramatic findings in her proprietary Quantum Access process, in quantum healings with Quantum Vortex Activations in Meditation CDs and podcasts, with global audiences in telecasts/webinars, radio shows and her book, Soul Realized: Unlocking the Sacred Keys of Becoming a Divine Human. We are evolving beyond the outdated medical model of medicine and surgery…into the quantum world of alchemy! Activate Quantum Access to unlock and unblock your full potential now!